Convenience and security is why most people get an automatic gate system installed. Unfortunately, when something goes wrong, those two important attributes can go out the window very quickly. That's why you need to give our team at Garage Door Repair Wilmette a call whenever you find yourself dealing with any type of issue. We'll quickly troubleshoot the problem and apply the best solution for it. It's unfortunate, but over time your system will inevitably start to experience the results of the constant wear and tear it goes through. That means that the track could develop all sorts of dents, or that the frame or the hinges may even become bent or mangled. You may find that your gate has gotten out of alignment because of this, and isn't able to move as well, or at all. Leave it to our team to quickly fix the problem. We'll realign the structure and replace the worn parts that caused the issue. There's a lot that can go wrong with your gate's motor unit, and some problems may not be obvious right away. Our team specializes in sensor and motor repair, and we can even solve problems involving the unit's circuit board or the drive system. If your gate opener's best days are behind it, we'll be able to help you find a modern replacement that will be more than suitable, and will have innovative technological features that your previous model may not have had. 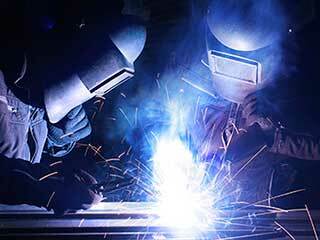 Whether you need to have the wrought-iron framework fixed, some hinge-welding repairs to be carried out or to have some malfunctioning component replaced in favor of a new and more reliable one, you can count on our team. Give us a call today and let us know what we can do to help you.